I first used a Dove Beauty Bar when I was a teenager. It was a gift from my cousin sister when she got her first salary. I have used Dove Original white Cream Beauty Bathing Bar. It was the only option which was available in the market that time, but now there are three to four options (I guess) are available in the Indian market. Eighteen years later, I can honestly say that I still keep a bar in my beauty cabinet. I admit to being a beauty product junkie and I do try and review other cleansers, but I also believe that good skin care is one of the most important things you can do for yourself. For that, I consider Dove Beauty Bars to be one of the highest quality facial cleansers for my skin that I can buy. Ideal healthy diet and lifestyle influence skin radiant, like that you have to choose the right products to do its best job. Cleaning off my skin is the most important part of my beauty routine, that not only takes away dirt and grime, but also helps to maintain its natural moisture. And the Dove Beauty Bar did its best job. There are so many reasons why I Love Dove Beauty Bar but mainly 10 reasons I mentioned below. Dove Beauty Bar is suitable for daily use on face, body, and hands. It doesn't dry my skin out and leaves it feeling pampered and smooth even in winter season. Its moisturizing effects are immediate and leave my skin feeling nourished and very touchable. Dove white Bar won't treat skin like soap because it contains ¼ moisturizing cream and works as a very mild cleanser which helps to maintain skin’s moisture. Dove creates a rich lather and very smooth on my face. It left my face soft and hydrated, not dry and tight. 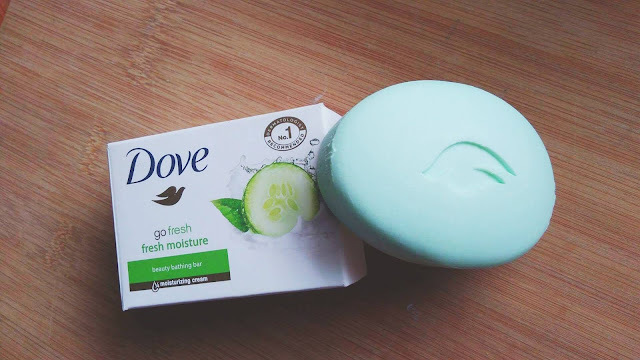 Dove Beauty Bathing Bar really hydrates skin very well. In summer or in Spring I didn’t feel the need to apply moisturizer Just after use of Dove Bar. Dove Beauty Bar never makes my skin broken out in rashes, and there are no itchy feelings. Even it does a good job of cleansing the face without causing irritation. Sometimes I used the bar eye areas after removing eye makeup and my sensitive eyes were totally fine with it. It didn't irritate my eyes. 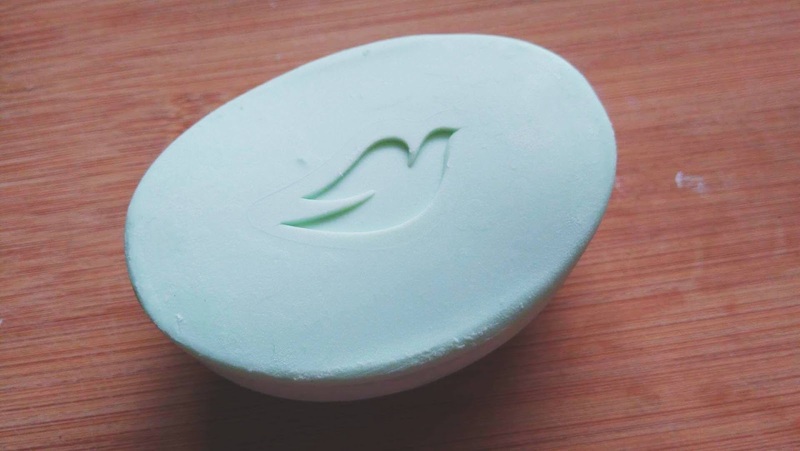 I love the fragrance of Dove soap. Which is very soft and very feminine. The smell itself is strong enough to make you feel "clean" in the shower. I think there are four to five wonderful scents available for the Dove Beauty Bar in India. I favorite one is Cucumber and green tea. The soap didn’t melt too easily and the 75g bar goes for 2 months if I use 3 to 4 times in a week. And finally, This is great for those who are looking for a product that they can use from head to toe. My sister loves it, now I understood why she adores this bar :) Lovely post. Such a great post. Thanks for sharing it with us. My mom always use Dove bars. I don't use though. This is definitely a super gentle drugstore affordable soap bar. Always a good buy. Great review.. have never used Dove for my face.. I love Dove for my hair tho! 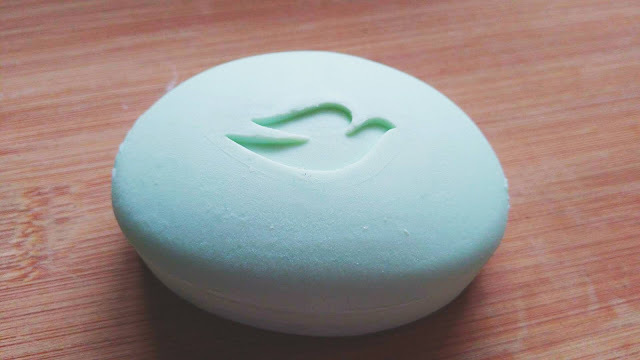 I used to love dove soap bar and adored it fragrance. But not anymore, after I discovered handmade soap bars. Realized how many chemicals go into Making it!